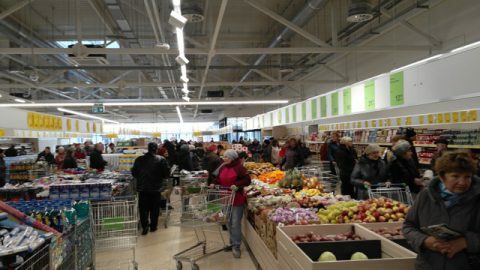 Foley Retail Consulting is proud to be associated with the successful launch of Russia’s first discount food business DA!. The business launched in September 2015 under the leadership of CEO Armin Burger and now has 47 stores trading in Moscow and Moscow region. The retailer, a daughter company of the O’KEY group, recently presented to their newest recruits a summary of its business proposition, and the notes to this presentation are made available here. We would like to wish DA!, its management and staff every success for the future! More information on our services can be found here!